As an herb and plant lover, I'm always trying to share my passions and their benefits with the people that I love. Oh, I give salves and balms, tinctures and syrups but sometimes I want to give a little something different and more indulgent. 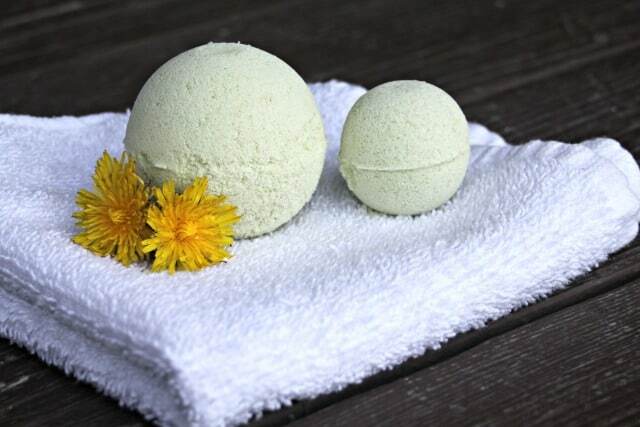 Homemade soothing and fizzy herbal bath bombs seemed like the perfect way to do all of the above. Making bath bombs is a new adventure for me. They've always seemed a little fussy and perhaps more difficult than other gifts. Still, I figured it was time to up to my skills and my gift giving game. I got myself a copy of Natural Bath Bombs by Jan Berry and followed her advice for some serious bath bomb success. Any infused oil would work in these bath bombs, but I chose a blend of birch and dandelion oils. Birch infused oil is excellent for sore muscles. Dandelion infused oil is always a great choice for arthritic or sore joints. The two combined felt like an amazing choice for all my hard-working friends and family. Always my first choice for taking a bath when the body is sore. Epsom salt can relieve pain and inflammation making it an ideal choice for a soothing bath. It's relatively inexpensive too. If Epsom salt isn't available, sea salt would work just fine. Any essential oil could be used. Choose anything you or the recipient might like. For these, I chose the Energize Blend from Rocky Mountain Oils. This combination of scents has a great way of energizing a sore person's senses if they need to be awake for a little while longer after the bath. If relaxation is the name of the game, try lavender essential oil or a calming blend of scents. The reaction of the baking soda and citric acid in water is what makes bath bombs fizz. This fizzy water adds another layer of soothing healing on a sore body. Baking soda can also help with detoxifying and softening the skin. While color isn't necessary for a bath bomb, I wanted a small bit of color in these. In Natural Bath Bombs, Jan gives suggestions for several natural color additives. I chose some Matcha tea powder to give these a slight green color that I found quite pleasant. This is easily skipped if desired. In a large bowl, whisk together the baking soda, citric acid, salt, and matcha. In a small bowl, whisk together the birch and dandelion infused oils with the essential oil. Add the oil mixture to the baking soda mixture. Stirring well and breaking up any clumps. Squeeze together to make sure the mixture clumps. If it doesn't clump, spritz with a little witch hazel until it does. Pack into molds as desired. Unmold after 15 minutes and let air dry for 24-48 hours before sealing in airtight containers. 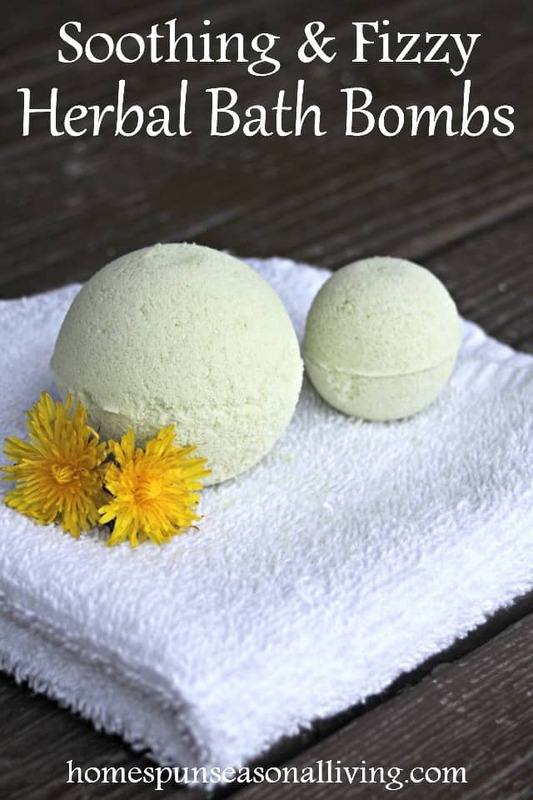 If you have a plethora of herb-infused oil from your summer garden and foraging adventures, try whipping up these herbal bath bombs. Create several batches. Keep less than perfect bath bombs for yourself and give the ones that come out of the molds beautifully as gifts. And if you need more bath bomb ideas be sure to get yourself a copy of Natural Bath Bombs by Jan Berry! I love making bath bombs too. I think the creating the color naturally is the funniest part, it’s like a science experiment each time!